Somewhere in Hanoi at this very moment, small plastic stools are filling up on overflowing sidewalks. Chopsticks clatter against clearing plates, marinated meats sizzle on a grill, and kaleidoscopes of exotic fruit fly through noisy intersections. Hungry spectators swarm the narrow streets, sniffing out the next stop on their gastronomic pilgrimage. 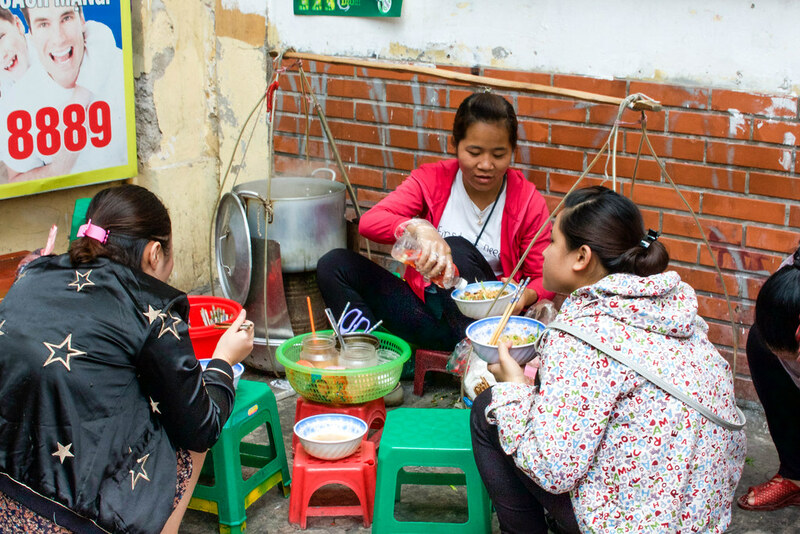 This is Hanoi, where the sidewalks come to life at mealtimes. Vietnamese cuisine seduces the senses. Each ingredient harmonizes with its counterparts, creating a sublime symphony of flavors. 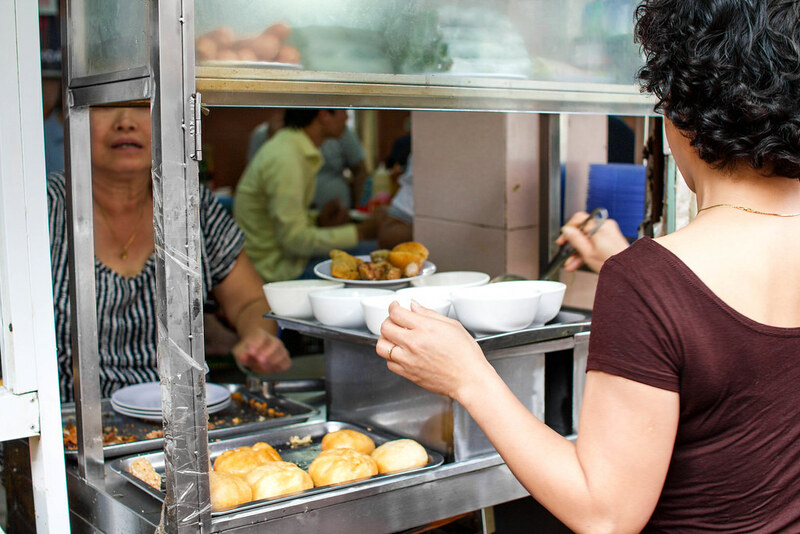 And when done right, street food is the most authentic way to sightsee through your tastebuds. 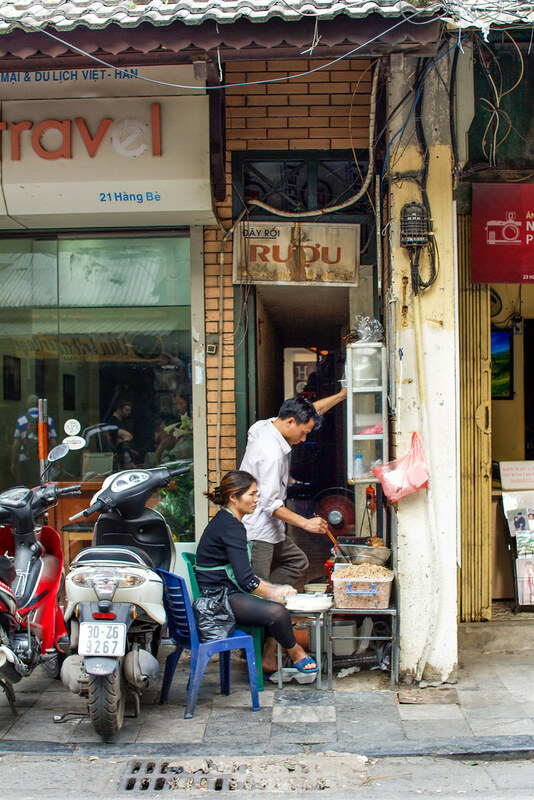 Hanoi's unpretentious hideaways humbly host the city's best dishes. Forget Michelin stars; inside these hole-in-the-wall kitchens is where the real magic happens. 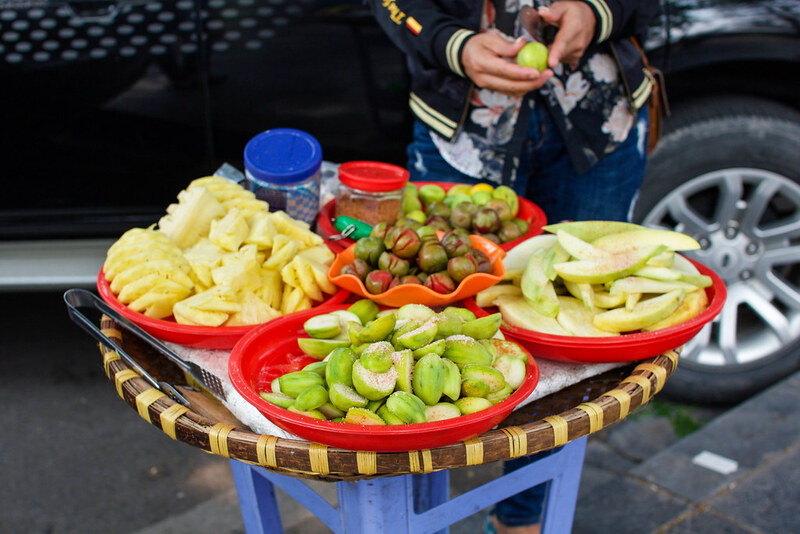 When embarking on a quest for Vietnamese street food, here's what you need to know about what and where to eat in Hanoi. 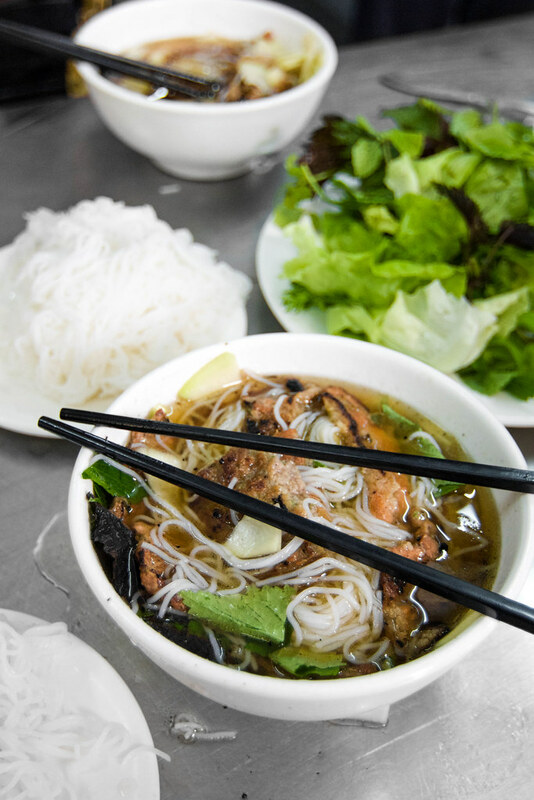 A staple dish of Hanoi, bún cha is a flavorful noodle soup with grilled pork. 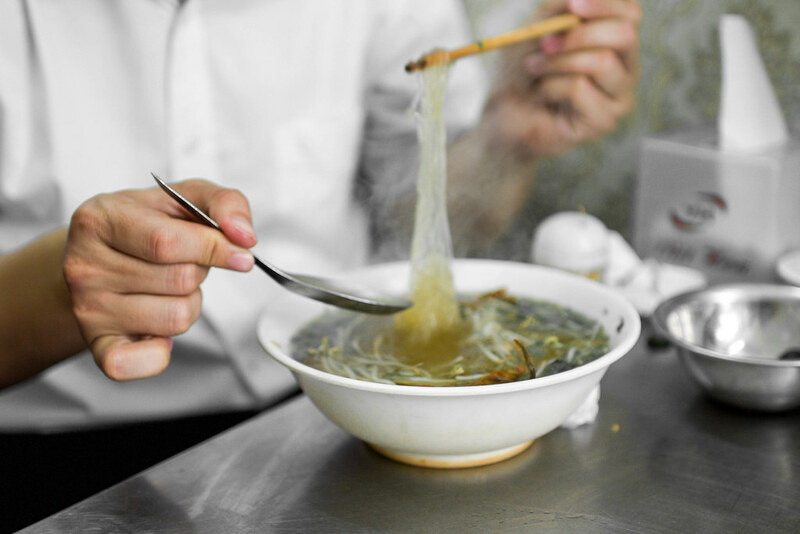 Almost exclusively served during lunch, bún cha is comprised of rice vermicelli noodles, charcoal-grilled pork belly or grilled grounded pork, room temperature broth, and a basket of herbs to adorn your bowl. 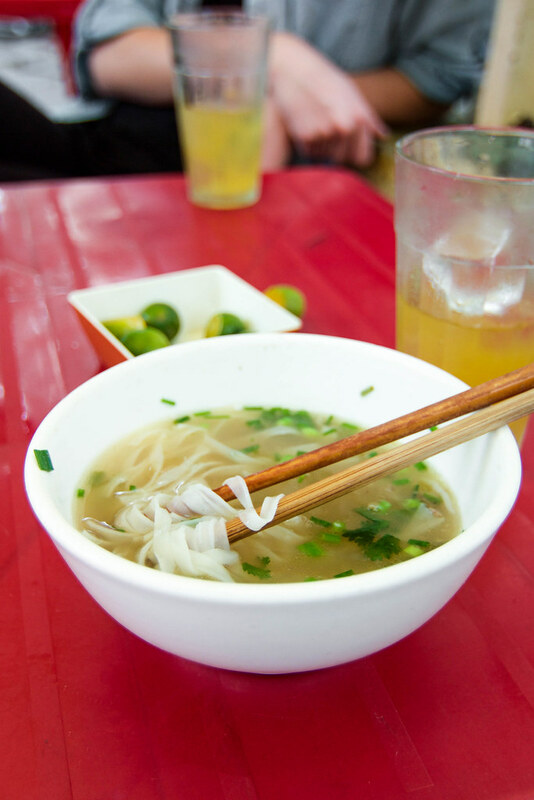 The broth itself is a magnificent feat, subtly enhanced by fish sauce, the cornerstone of Vietnamese cuisine. 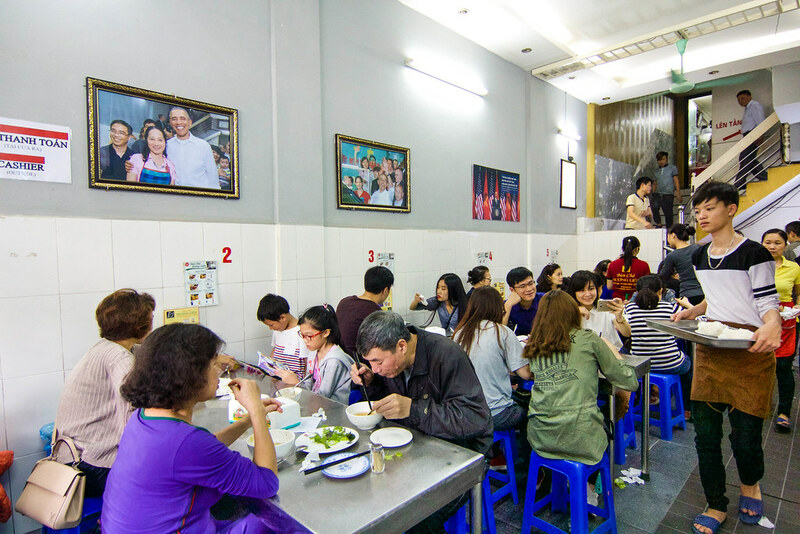 Though undoubtedly deserving of fame in its own right, bún cha was made infamous by Anthony Bourdain and President Obama's dinner together in Hanoi. 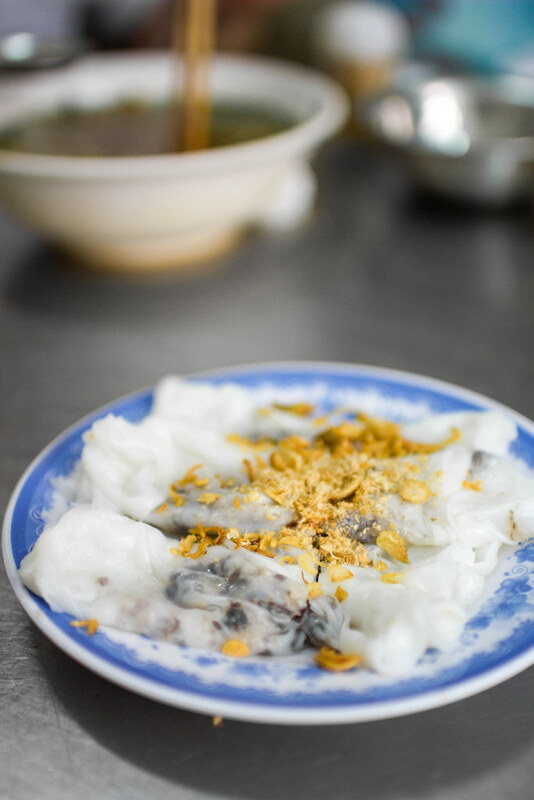 The hype is real - if you only get to try one dish in Hanoi, let it be this. Vietnam's breakfast of champions. By far the country's most famous dish, the term pho actually refers to the type of noodles specific to this bowl of heaven. 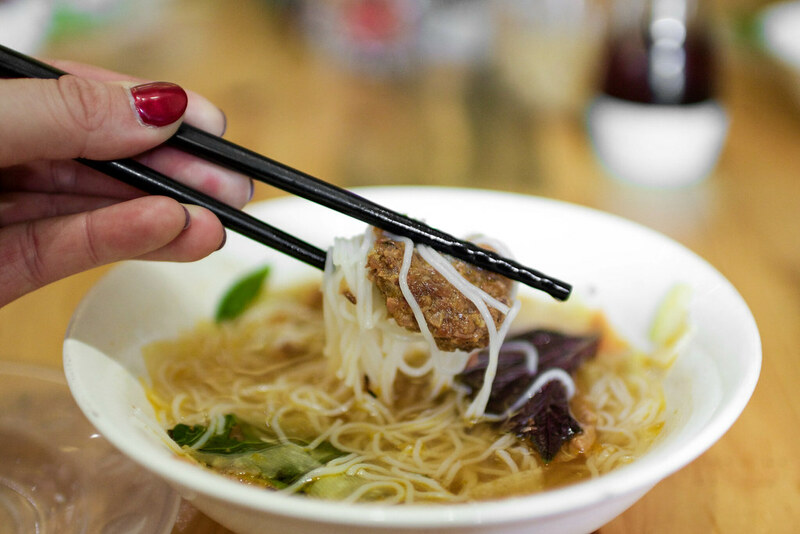 It's made of tender rice noodles, herbs, meat (typically chicken or beef), and a savory broth that packs a punch. 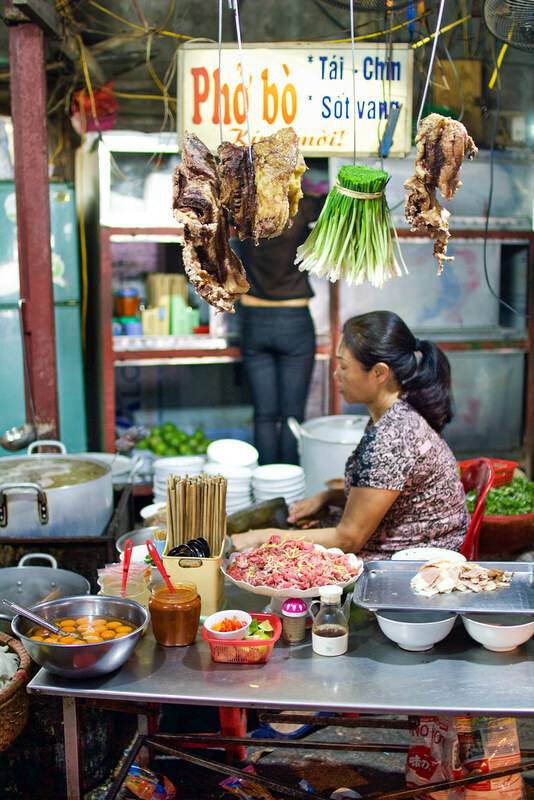 In Vietnam, the best pho is judged by the flavors of its broth. You can also find it on pretty much any given street corner. Pull up a plastic stool and dive in! Literally translated to "commoner's rice", com bình dân is a heaping plate of rice generously topped with a colorful array of side dishes. 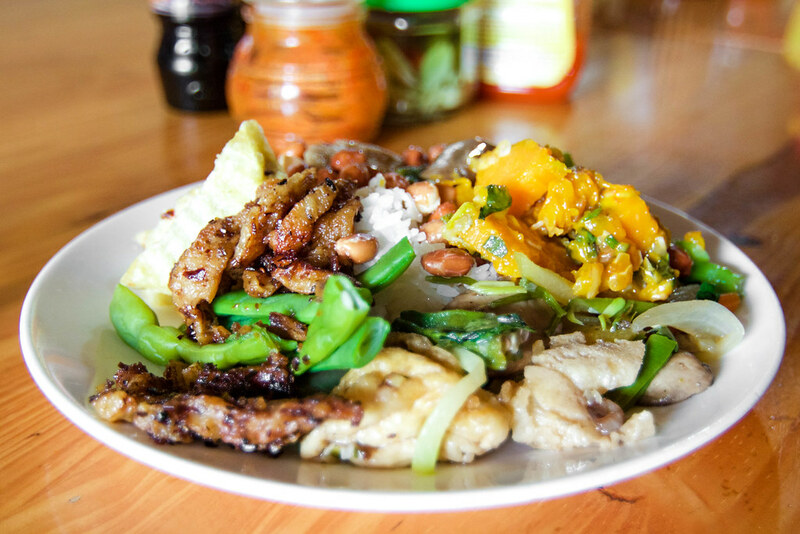 The expats I met in Hanoi lovingly dubbed it as "pointy rice", because you can point to all of the mouthwatering toppings your hungry heart desires. 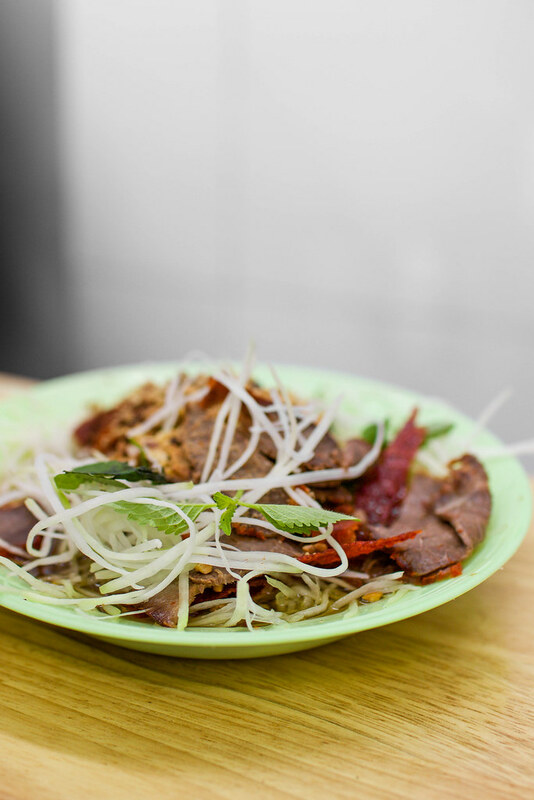 As it was traditionally a workman's lunch, a hearty plate of com bình dân will likely keep you full until dinner. 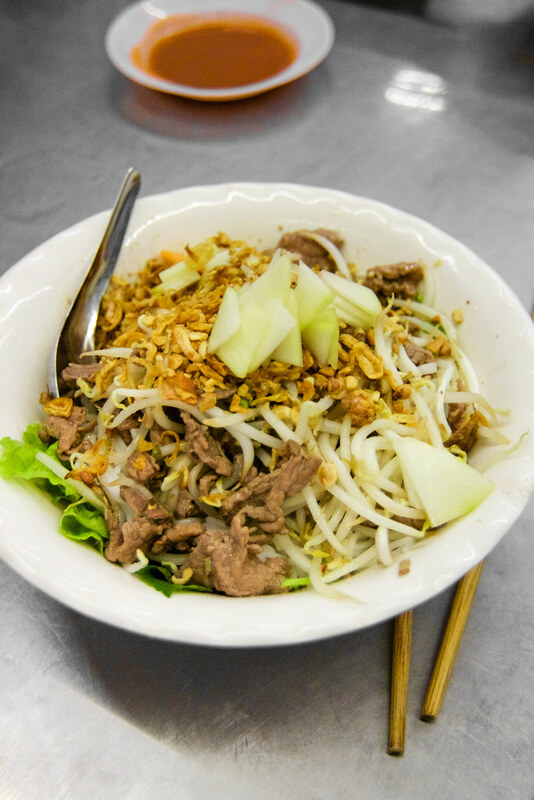 Known simply as "beef noodles" in the south, bún bò nam bo makes magic out of vermicelli noodles, roasted peanuts, bean sprouts, and fresh vegetables. To unlock the dish's true flavors, drench eat bite in the delectably tangy blend of fish sauce, sugar, lemon, and chili. While every chè dessert beverage or pudding is slightly different, each boasts a savory amalgam of textures. My favorite blend featured kidney beans, mung bean paste, jelly, and tapioca, stirred together and topped with coconut milk. While not overwhelmingly saccharine, a refreshing glass of chè will still satisfy one's sweet tooth. 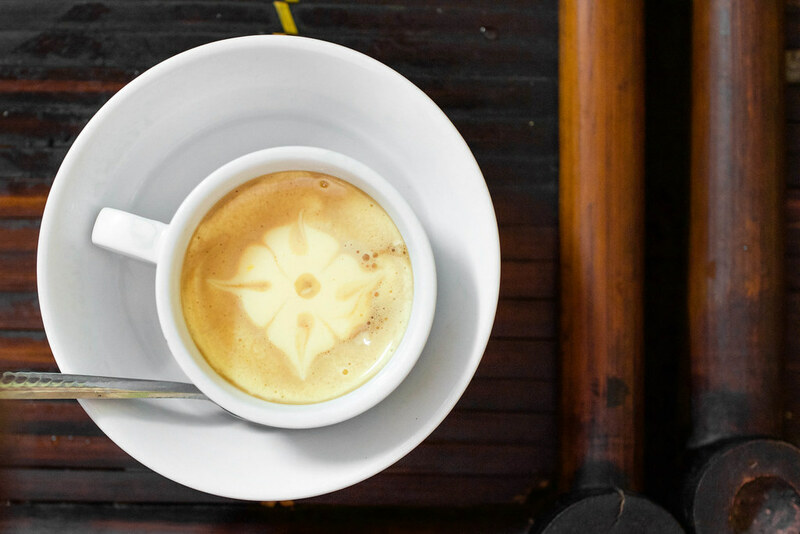 Savoring a fluffy cup of Vietnamese egg coffee is like drinking crème brûlée. 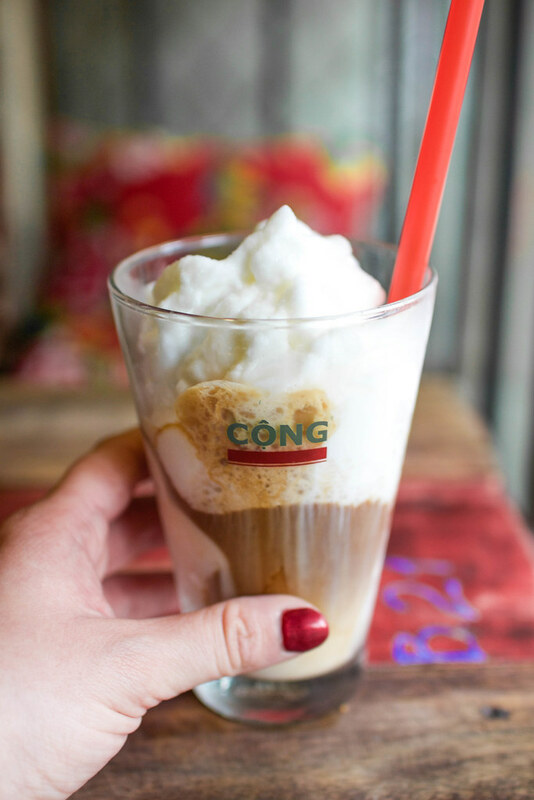 Pioneered at Hanoi's Giang Cafe, this delicate and frothy concoction is comprised of bold Vietnamese coffee, condensed milk, and egg yolks whipped to perfection. Not only does it satisfy the need for a morning jolt of caffeine, but it also makes for a sweet afternoon treat. Akin to a caffeinated slushie, sipping on coconut coffee takes me back to sunbathing on a white sand beach. 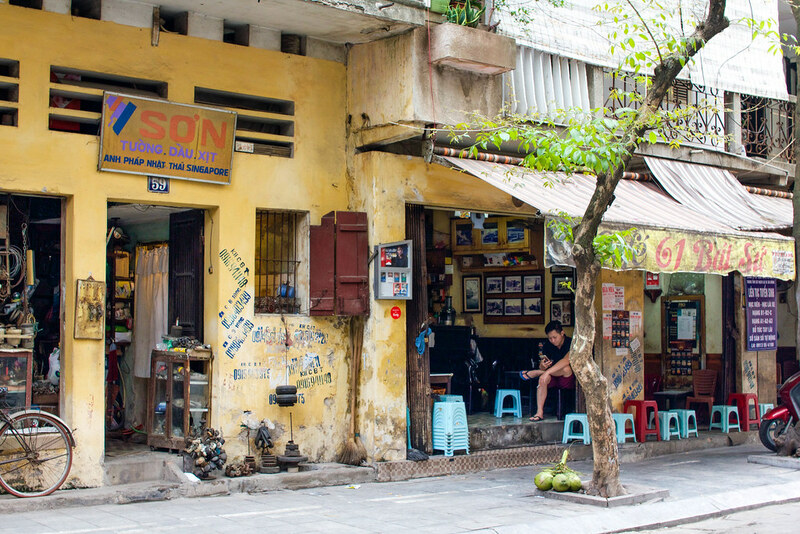 While its tropical vibes feel seemingly out of place in Hanoi's urban chaos, its tastes and textures are substantially more refreshing than your average Frappuccino. Not quite knowing where to start on my first day in Hanoi, I took a crash course in street fare with Hanoi Street Food Tour. 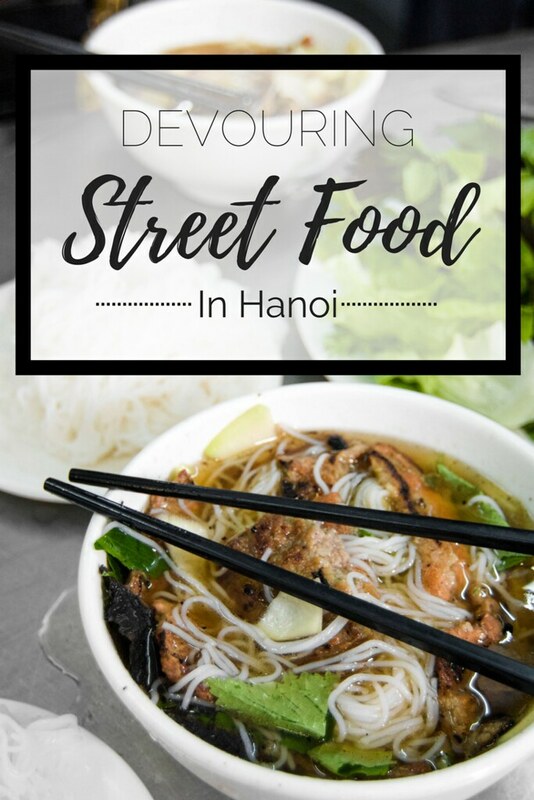 Their beginner's guide to street food introduced me to some of my favorite Vietnamese dishes, while also providing me tips on how to find the best spots on my own. 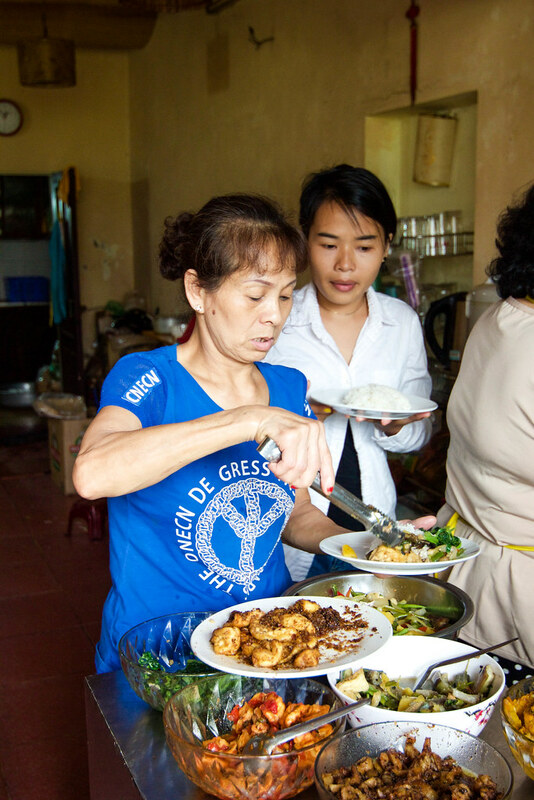 Our tour guide Mango had an infectious love for Vietnamese cuisine, and her passion brought the tour to life. As we devoured a myriad of traditional dishes, Mango peppered our tour with restaurant recommendations, useful phrases, and historical anecdotes. 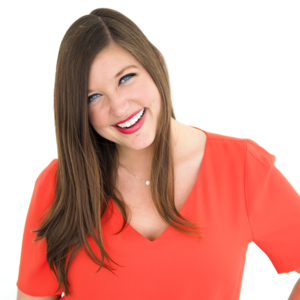 She also offered personalized substitutions for those of us with food intolerances, and went to great lengths to ensure that everything I tried was gluten-free. 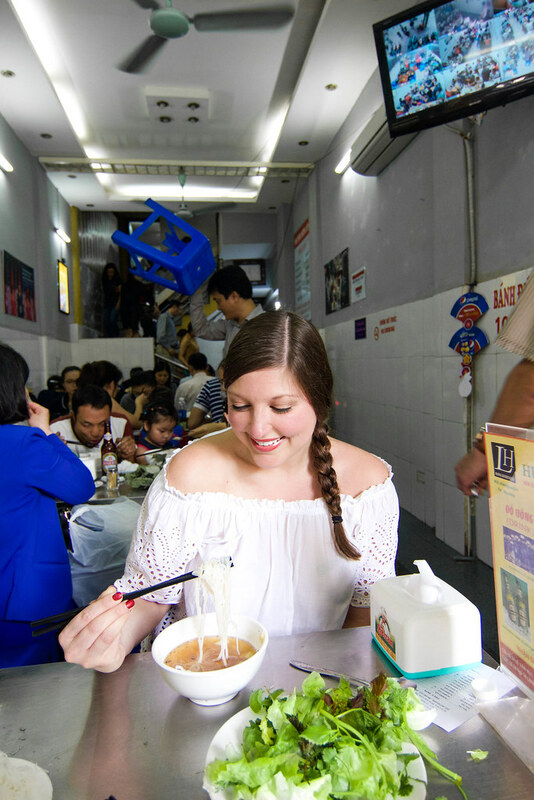 Not only did we get to taste Hanoi's best dishes, but we also got to watch how some of them were made. After warming our bellies with our very first bowls of bún cha, we wandered over to a street vendor making bánh cuon thit, a steamed rice flour pancake stuffed with pork. Hypnotized by the methodical process of making this delicate treat, we were able to experience the dish's flavors more profoundly. 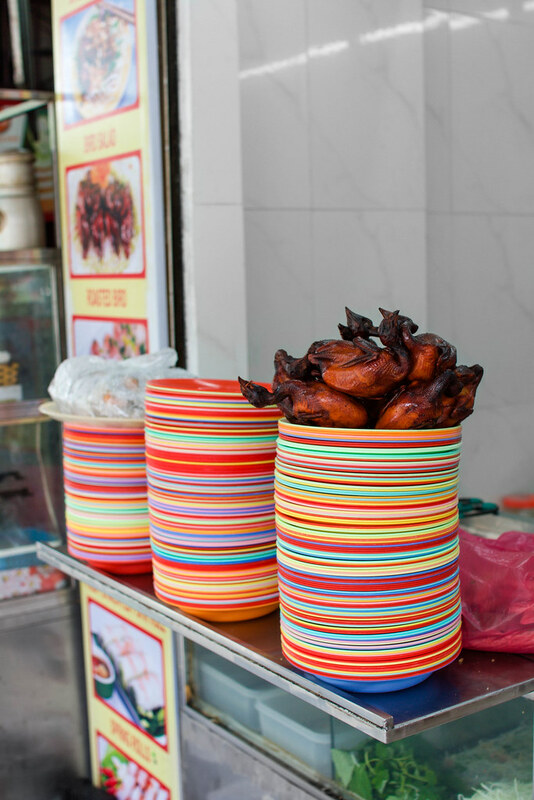 Street food is not only the backbone of Vietnamese cuisine, it's a defining element of their culture. 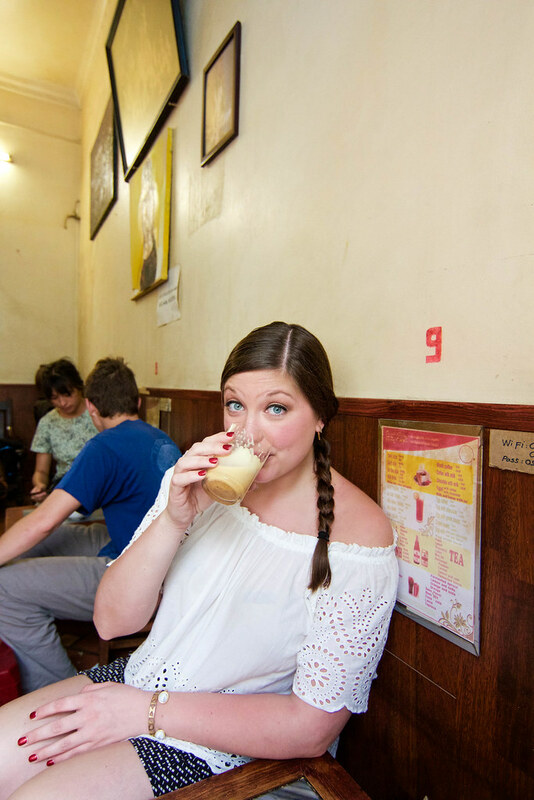 Getting a comprehensive lesson in Hanoi's history and gastronomy helped build the foundation of a successful trip. Stuffed and satisfied, I walked away with a deeper understanding and appreciation of this vibrant community. Never have I fell victim to such an overpowering culinary love affair. 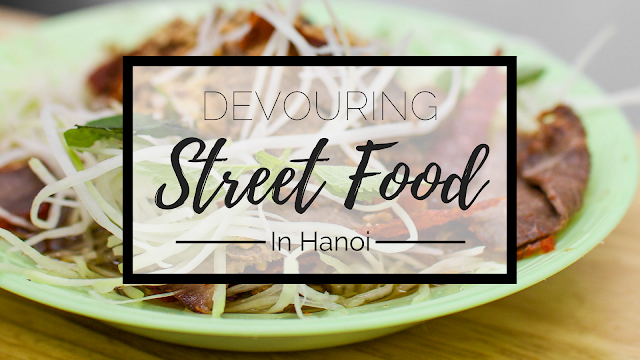 Despite my euphoric tastebuds, Hanoi still left me with an insatiable hunger for more. 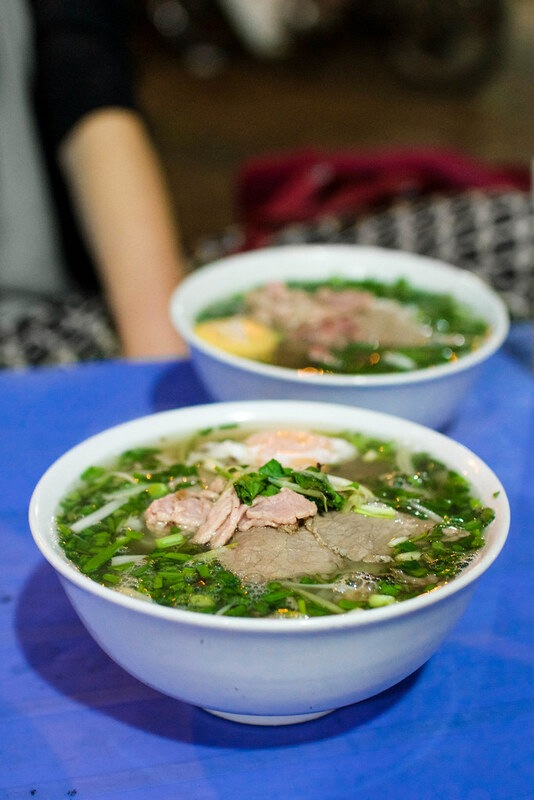 Until I get the chance to visit again, I'll surely be daydreaming about my next bowl of bún cha. What are your favorite cuisines you've tried abroad? Is there a country whose gastronomy stands out as the best? 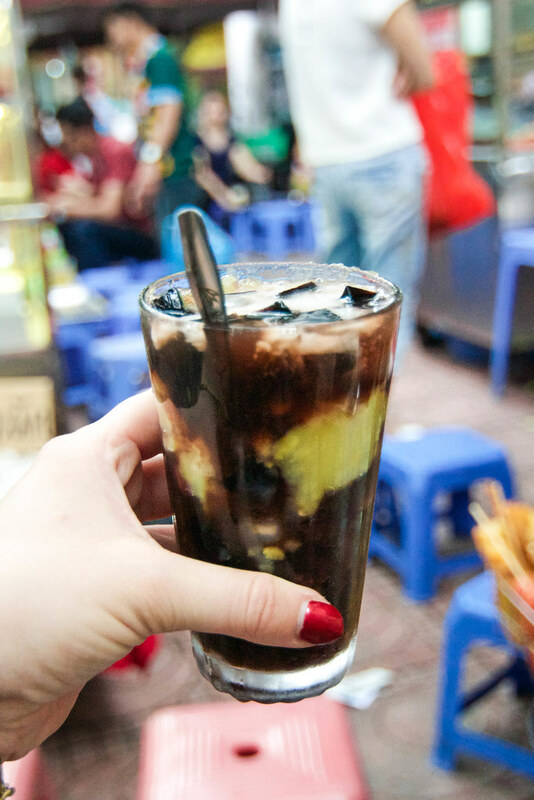 Disclaimer: Hanoi Street Food Tour graciously invited me on this tour, however, all opinions expressed are my own. As a Celiac, I took this tour at my own risk. 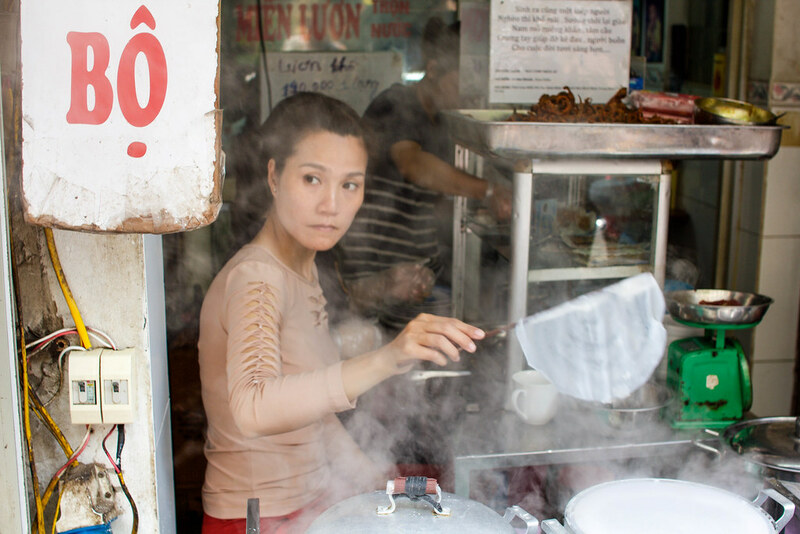 While Hanoi Street Food Tour can make substitutions to accommodate a gluten-free diet, they cannot completely guarantee avoiding cross contamination.